Have You heard of Gingivitis or Periodontal Disease? What is gingivitis or periodontal disease? Do you know the signs? Gingivitis (also known as periodontal disease and gum disease) is very common in the United States, affecting half of all American adults. But, did you know that gum disease is completely preventable? Periodontal disease is caused by a buildup of plaque and other substances on the teeth that break down tooth enamel and affect the delicate tissues of your gums and teeth. When teeth are not properly taken care of, inflammation (known as gingivitis) can begin to set in that progresses to gum disease. Early stages of gum disease can be reversed with periodontal treatment at Stonebrook Family Dental. Gingivitis is the first stage of periodontal disease. It is caused by a bacterial buildup in plaque. This buildup can lead to inflamed gums that may bleed during tooth brushing. You may also experience gum tenderness, discoloration from pink to a dark red, bad breath, and gum recession. At this stage, you can easily treat your gums by getting accustomed to a daily routine of flossing, rinsing with a Listerine (or generic brand, as long as it possesses the ADA stamp) mouthrinse, and brushing. Aurora CO dentist, Dr. Varley, recommends practicing flossing, rinsing, and brushing at least 2 times daily. Come into the office frequently! The easiest way to prevent gingivitis with an onset of periodontal disease is to commit to your daily routine of flossing, rinsing, and brushing as well as staying up date with your regular dental check-ups. Periodontal treatments are possible. 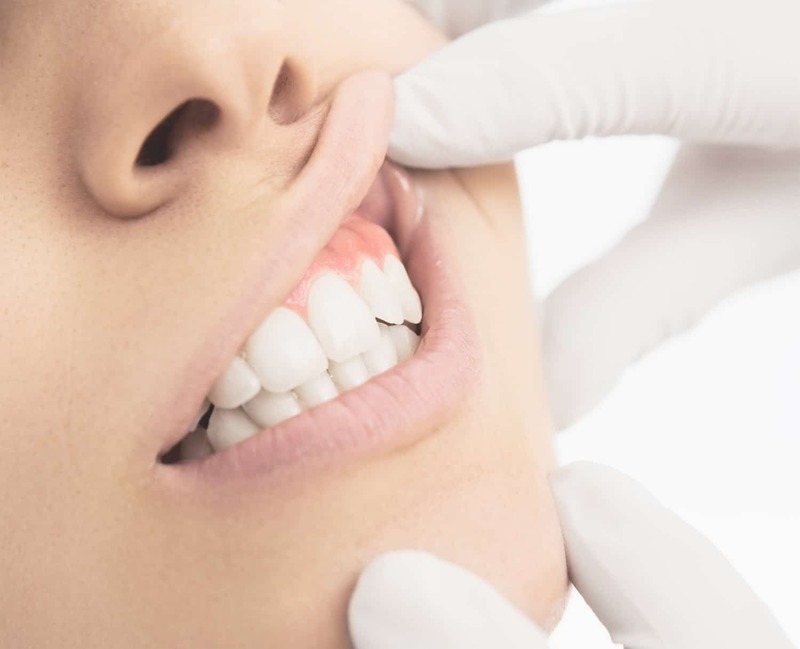 For our gum disease treatments, we provide deep cleaning through scaling and root planing to provide a healthy tissue environment to help tissues readapt to normal tooth surfaces. With our periodontal maintenance, we provide treatments and protocols designed to clean and maintain your gums and teeth and stop gum disease in it’s tracks. Some of our periodontal procedures are surgical and some non-surgical. Keeping your gum disease at bay by seeing us often is how you can avoid the surgical procedures (which is the more favorable option). When gingivitis is left untreated, it advances to Periodontal Disease. In a person with this advanced onset, the inside layer of the gum and bone pull away from the teeth and pockets are formed. The small spaces between teeth and gums begin to collect excess waste and become infected. The body's immune system reacts by fighting the bacteria while the plaque spreads and continues to grow beneath the gum line. The toxins produced by the bacteria in plaque along with the "good" enzymes that fight infections start to break down the bone and gum that holds the teeth in place, which results in bone destruction and tooth loss. Common signs and symptoms of Periodontal Disease include gums that bleed during and after brushing, sensitivity, a bad taste in your mouth or constant bad breath, gum recession, loose teeth, or changes in the way your teeth fit together while biting down. Stop gingivitis from developing into a more serious form of gum disease. Schedule an appointment and get in for your exam, cleanings, and x-rays every 6 months so that our dentist in Aurora can treat any dental conditions or concerns you may have before they lead to more serious problems. Call us today at 303-872-7907!